I fixed the kerning of the text in my name for the final shots, and also started to play around with color in the lights. In the previous renders I thought everything was too grey, so I added some purples greens and oranges to all the different lights. 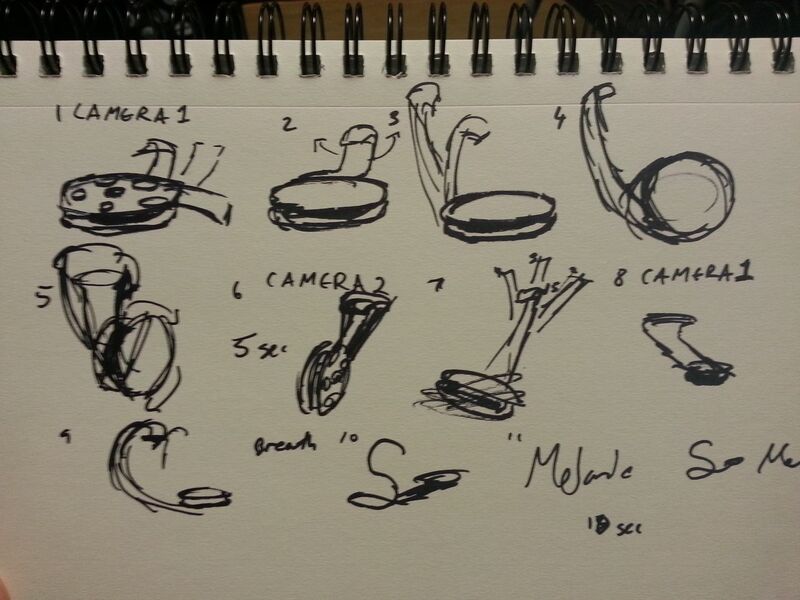 Before I began animating I decided to do some key poses sketches. 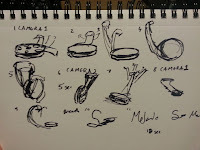 I know I had the storyboard, but i wanted a more in-depth storyboard for my own purposes. I also began animating through the shots, it really needs sound effects in my opinion. With sound it'll have so much more life. Originally I was going to have this be a 10 second animation, but it is turning into a 30+ second short. So far it is 15 seconds long and I am about half way through. If it was faster like I had planned the film strip would loose all the character he has. 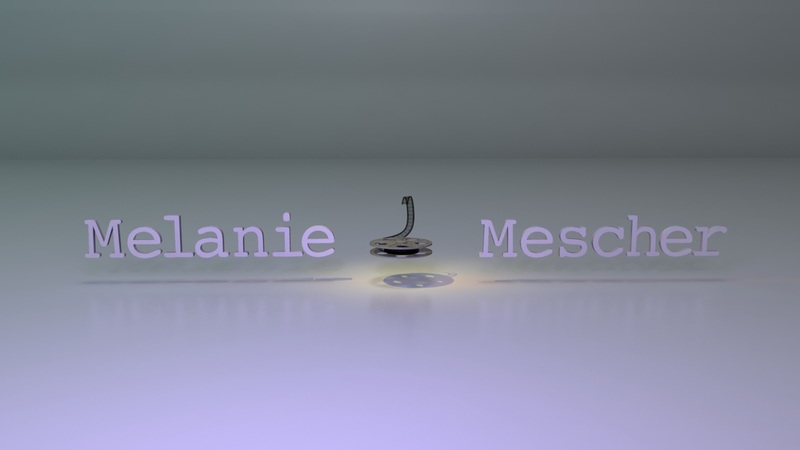 Reel: Progress Video from Melanie Mescher on Vimeo. I still have quite a bit to do, so this next week will just be concentrating on getting the animation done. I will use the time after tuesday to do post editing such as sound and anything else the piece needs.